In our conversations with users, we have learned that educators have a growing interest in digital professional development opportunities focusing on student engagement and achievement. We are developing educational webisodes that emphasize the integration of technology and teaching strategies relevant to Common Core with the goal of increasing student involvement in the learning process. Click to view the webisode. 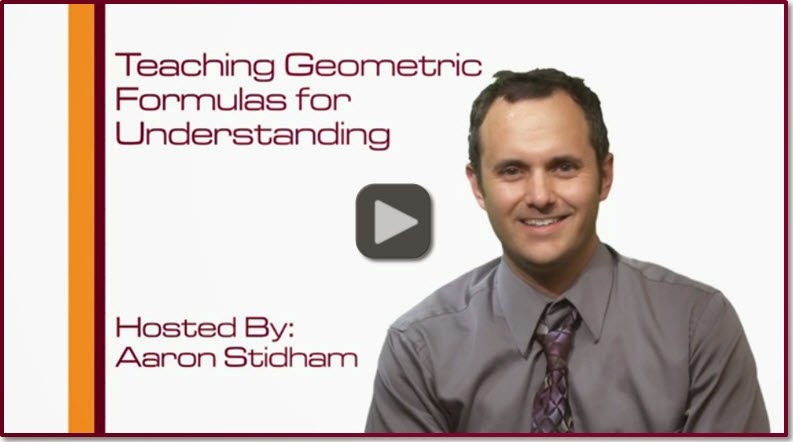 The latest instructional webisode from ATI, Teaching Geometric Formulas for Understanding, presents an approach that supports instructional balance between mathematical understanding and procedural skill development. Understanding of geometric formulas is an important component in accomplishing the Common Core objective for students to obtain a level of mathematical knowledge that can be used in solving real-world mathematical problems. “Know this formula, understand it, and use it!” Watch the educational webisode demonstrating the inclusion of formula understanding in instruction addressing the measurement of the area of a circle. View the webisode now. Both research and the classroom experience of teachers have consistently pointed to the importance of feedback in the instructional process. It isn’t sufficient to explain how to multiply fractions, take a derivative, or craft an essay. Students must understand why formulas work and why it is better to make a point in a particular way. To achieve this level of understanding, students must attempt to solve problems themselves. In the course of such active learning, mistakes will be made and will be revealed to both the student and the teacher. Additional explanations and corrections can then be provided. Feedback is at the intersection of assessment and instruction. When feedback is implemented, teaching is followed by evaluating results, which inform subsequent instruction. Making assessment more relevant to teaching is one of the cornerstone principles of the Common Core movement. Common Core assessments are designed to require higher levels of understanding than has been the norm in the past. It isn’t enough to have memorized problem-solving rules. One must understand the basis for those rules and be able to actually apply what has been learned. Toward that same end, ATI is working to modify our instructional platform to support these more complicated assessment tasks and providing the capability to provide feedback within the instructional environment to increase student understanding. Currently we have made available to districts a set of formative assessments built around these more interactive item types emphasizing greater depth of knowledge. 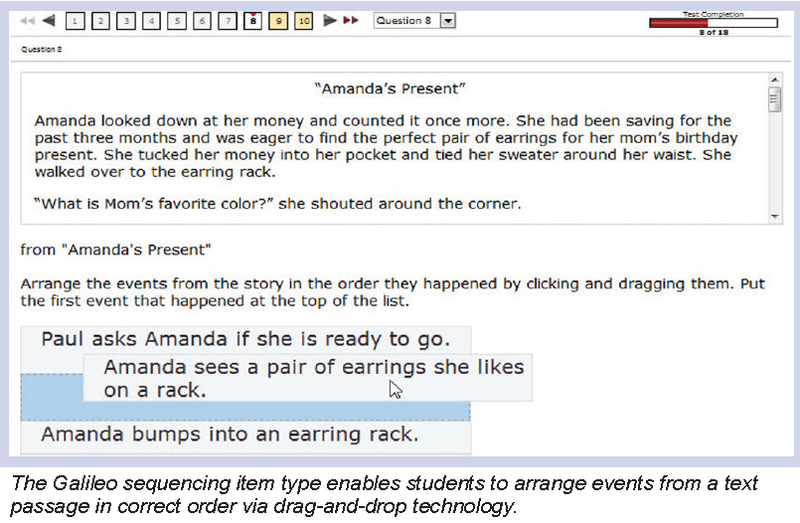 By the start of the next school year it will be possible to put these new more complicated items in instructional dialogs that integrate assessment and instruction and provide the capability to offer feedback to enhance student understanding. Data from these assessment tasks will be available to the reporting engine thereby making it possible to both assess and instruct with the same resources. Look for announcements of the availability to these new tools as the start of the new school year gets closer.